To get your password please enter your email. Then you have to check your inbox. 04:41 : In the Susa cast off a gigantic merchant fleet of Barenszoon. If all goes well, it should soon arrive in Tripolis. 04:39 : In the port of Linosa shall arrives just a powerful merchant fleet of Spotty. 04:29 : In Linosa arrives the 10 merchant ships of the emerging trading empire of Spotty. 04:10 : The powerful merchant fleet of Signora Gaelico just arrives into the harbor of Yalta. 03:55 : A von Spotty takes just course from Linosa to Rhodos on. 03:52 : The big merchant fleet of Spotty just arrives into the harbor of Linosa. 03:51 : Spotty´s reached the quay at the port of Malta. 03:50 : A gigantic merchant fleet, consisting of 10 ships from Spotty, leaving the Port of Malta towards Linosa. 03:46 : In the Malta cast off a gigantic merchant fleet of Spotty. If all goes well, it should soon arrive in Linosa. 03:41 : In Malta arrives the 5 merchant ships of the emerging trading empire of Tazumaki. Build your own trading empireSet up lucrative production trees to gain valuable goods which can be selled. Rule the whole Mediterranean:Discover and visit foreign harbour towns with your giant fleet - from alexandria to venice. Also this year, your Middle Ages game will start with a glitzy Update. 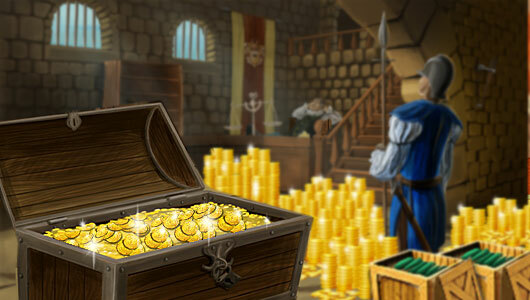 Many new pirate missions await all Guilds. 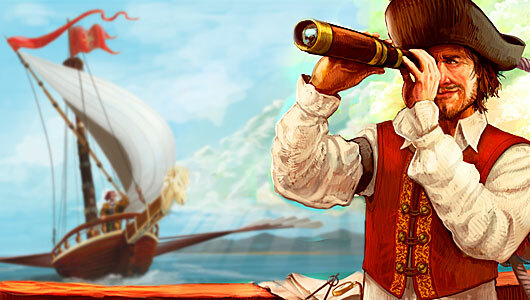 The pirates on your island will be stronger and more scrupulous than ever before. 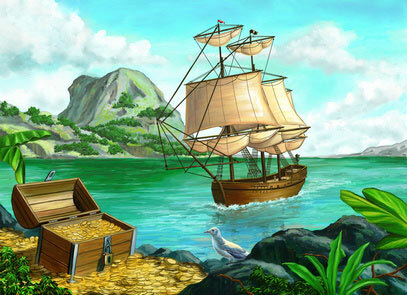 In order to capture the pirates’ treasure, you’ll need better ships. That’s why there are now available 120 more classes of warships. 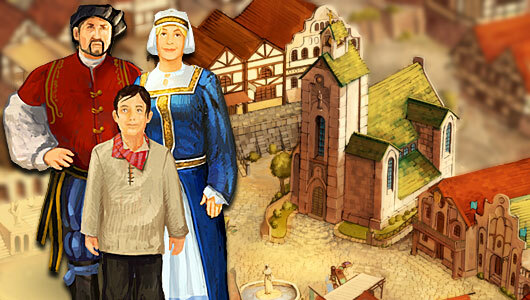 Build your new ship today and experience this great adventure in your Middle Ages browser game, Venezia.